The New Standard Edition look book - Pullover crew with logo bands on sleeve and chino pant with contrast cuff and pockets. 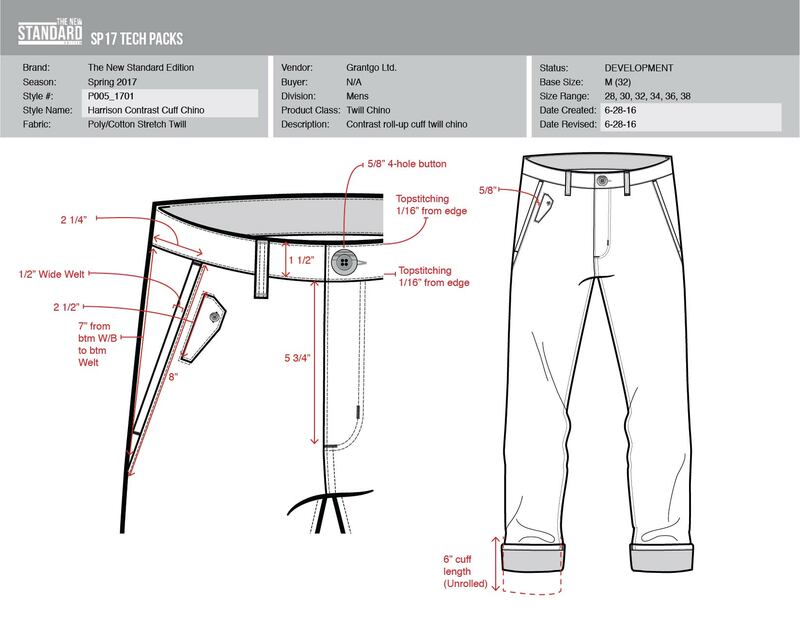 Tech pack example for the chino pant with contrast cuff and pockets details. 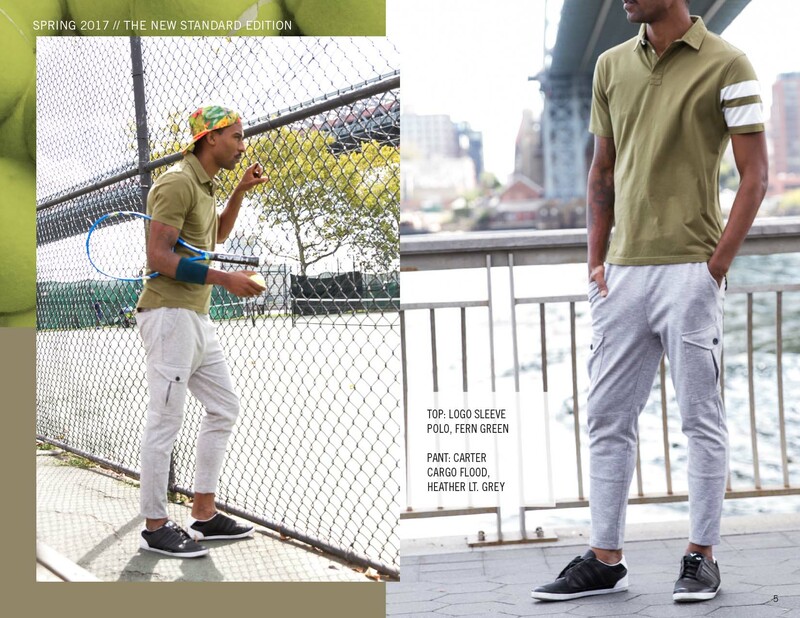 The New Standard Edition look book - Polo with logo band on sleeve. 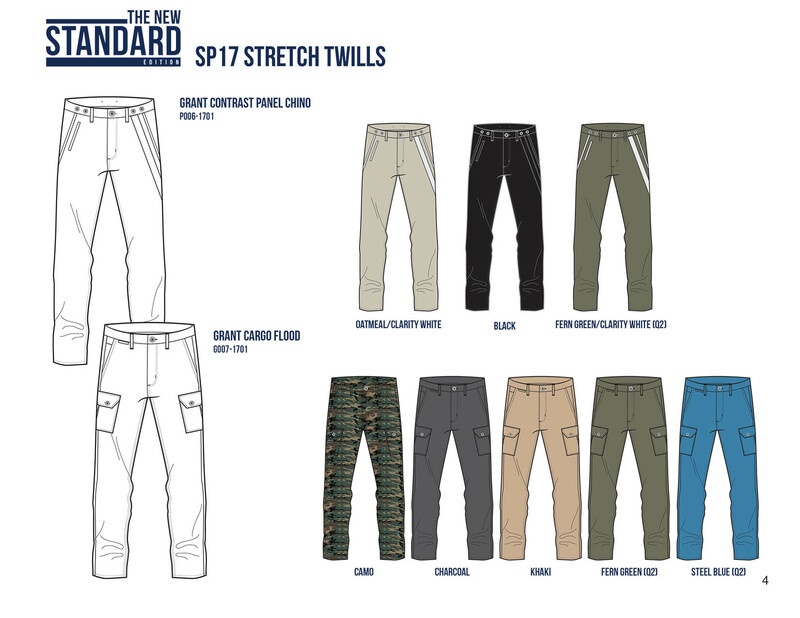 The New Standard Edition look book - Chino with logo bands on pocket. 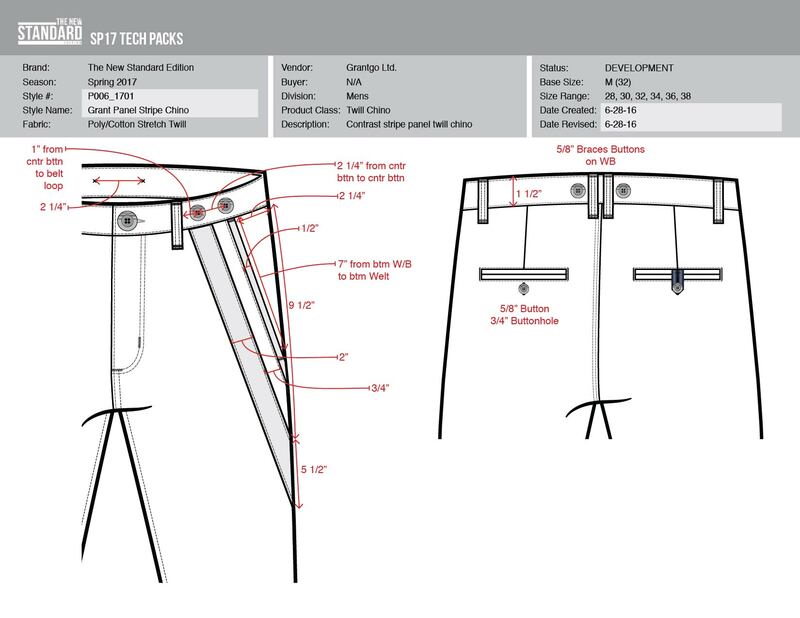 Tech pack example for the chino pant with logo bands. 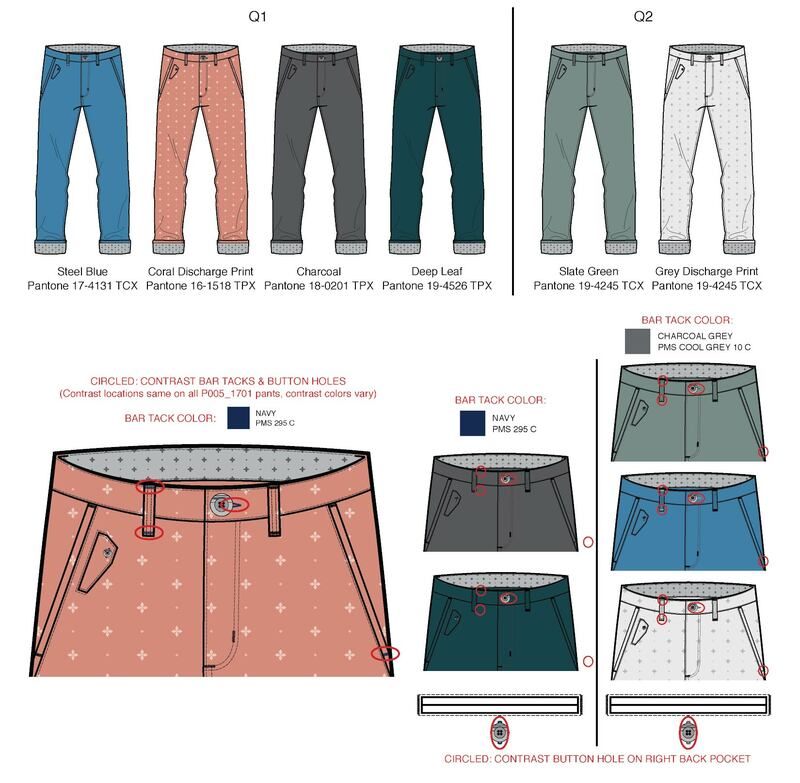 Spring '17 Line sheet example. 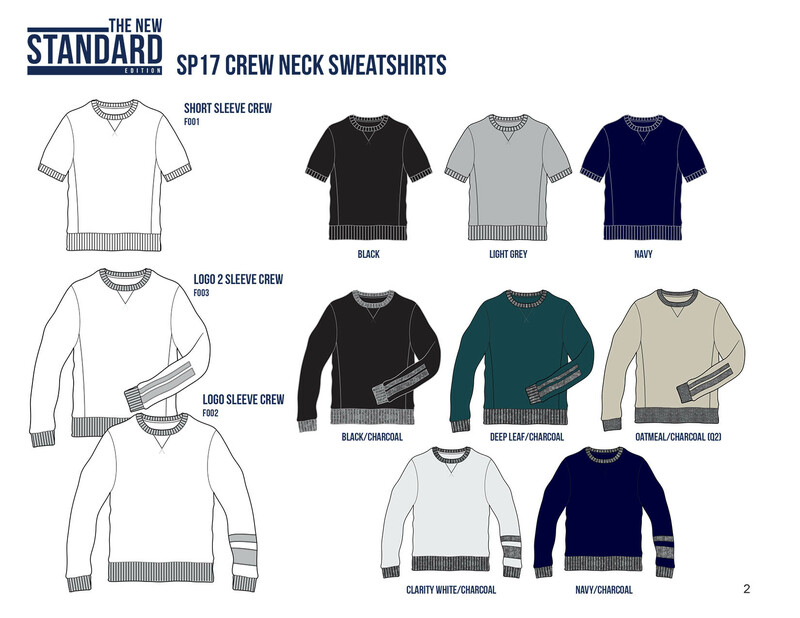 The New Standard Edition look book - Pullover crew with logo bands on sleeve. 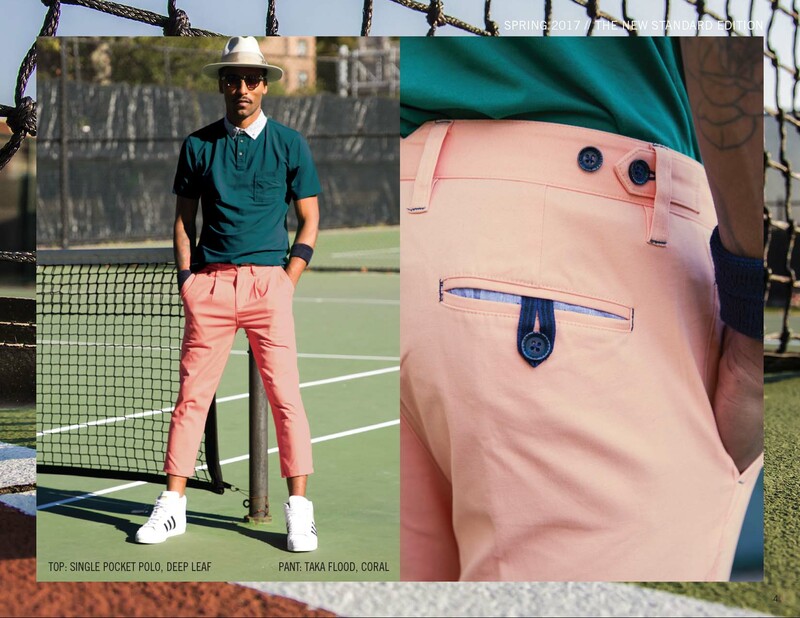 The New Standard Edition look book - Pleated chino pants with contrast pocket details. 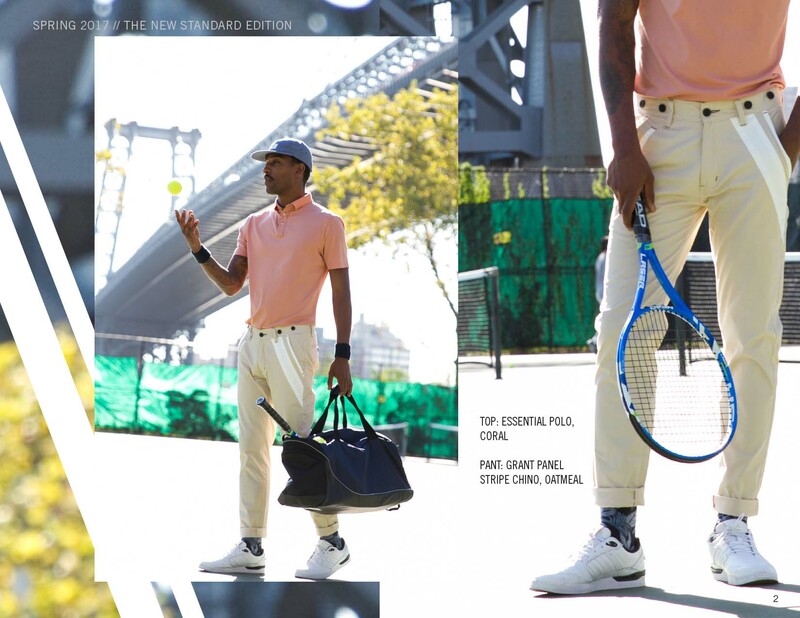 The New Standard Edition (TNSE) is a New York based contemporary men’s wear brand that provides modern alternatives for work and weekend apparel. 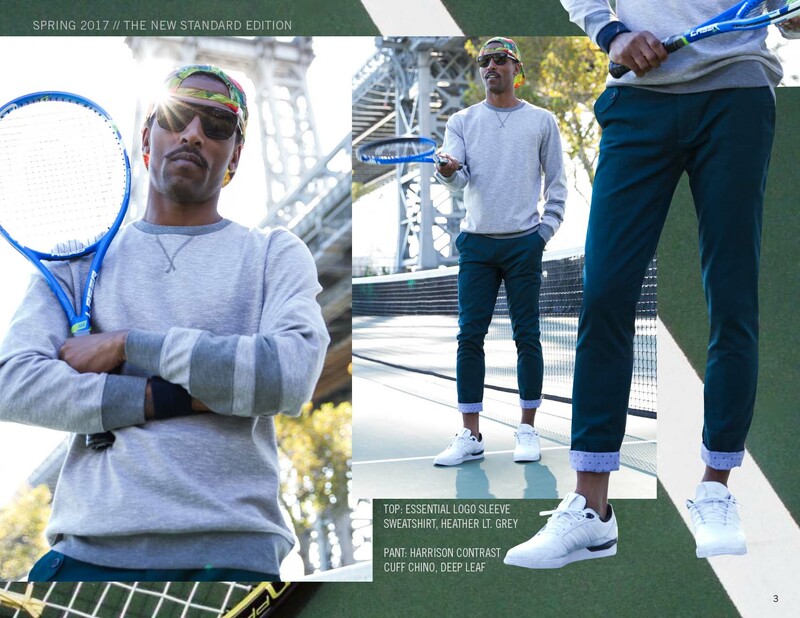 They started in 2013 with men’s bottoms and recently expanded to tops and sweatshirts. While I interned in fashion design for TNSE I had the opportunity to design and make tech packs for the Spring ’17 collection. For each item in the spring ‘17 line I created a tech pack with specs, call-outs, colors, and fabrics. I focused on the details in this collection. 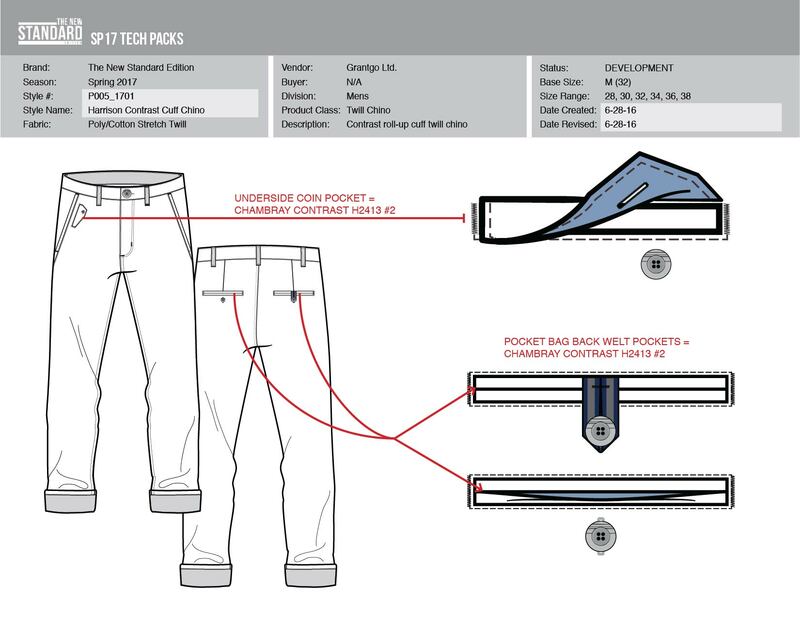 For example, the Harrison Contrast Cuff Chino has printed chambray pockets and waistband lining. I made call outs for each detail to make communication with factories in China easier. In total I designed three tops, three sweatshirts, eleven bottoms, and three prints. Samples of the spring line arrived after I left TNSE. However I was able to see the finished products in the look book and on-line at newstandardedition.com. 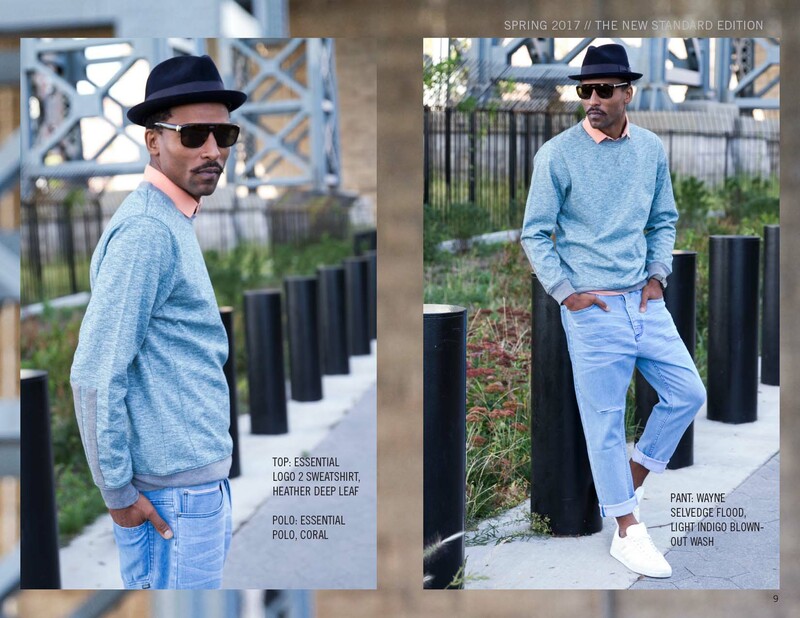 The collection went on sale on TNSE’s website in February 2017 and is expected on nordstromrack.com in April 2017.